If you’ve been involved in an auto accident, Injury Chiropractic of Central Phoenix can assist with pain relief and corrective treatment. From whiplash to back pain, headaches, shoulder and chest pain, to spinal compression, and even depression and anxiety, our skilled staff understand the unique pain and suffering auto accident victims can experience. Through detailed questions and a thorough evaluation, our team can develop an effective treatment plan. Accident victims should note that pain may not occur initially after an accident. Trauma to soft tissues may not appear symptomatically immediately, but the damage is present all the same, to tendons, ligaments, muscles and fascia. 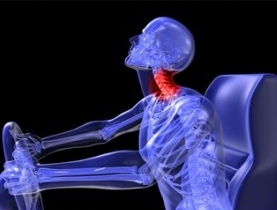 Or, patients may experience symptoms such as whiplash, headaches, hip pain, and back or full body tightness immediately. Regardless of each individual experience, the Injury Chiropractic group can offer acute pain relief, rehabilitation, strengthening and alignment of the spinal column, and preventive maintenance plans, all designed to facilitate healing, manage and eliminate pain, and create total body health. We utilize the latest techniques and research of chiropractic medicine for healing and pain control.